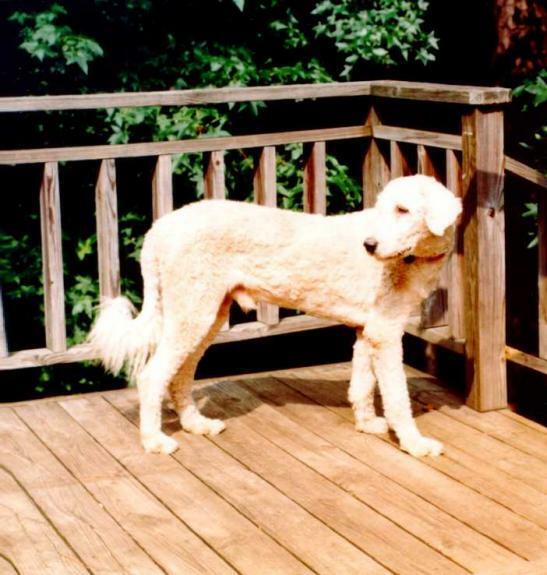 Komondor Rescue is a non-profit referral organization dedicated to placing unwanted Komondors into new homes. 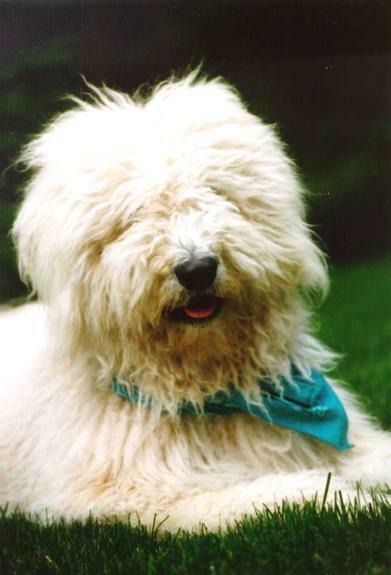 Toward attaining that goal, we promote responsible dog ownership by educating the public in the selection, care and training of the Komondor. Our stand on breeding of Komondors is that all breeding be done by fanciers involved in showing and/or working their dogs, and should be done with the improvement of the breed in mind. Only the very best should be bred, to produce even better offspring. 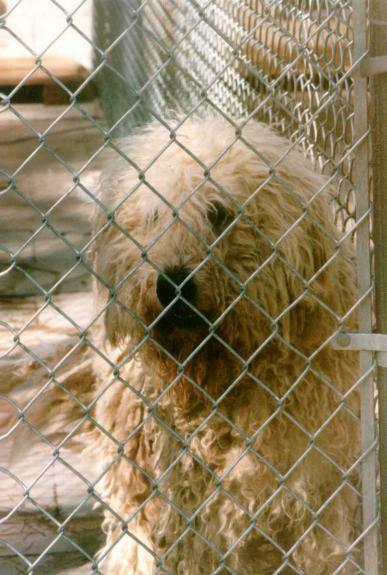 For this reason, Komondor Rescue believes that all Komondors placed through the rescue be spayed or neutered. As with any large protective dog, Komondors require a special home. An adopter with experience with working dogs is ideal. The Komondor that has been surrendered because it is ‘out of control’ will need an owner with a fair but firm hand. Obedience lessons and socialization are a must. A fenced yard is important for the dog to have a supervised safe exercise area. Crates can be a big help to an owner when housebreaking a dog, or for the prevention of destructive chewing. Komondors can be barkers, alerting you to anything they think is out of the ordinary; this can be very disruptive. The important thing to stress when placing a Komondor is that they are a livestock protection dog. If they don’t have livestock to protect, they will guard the owner, his family, or his property. If an owner can not deal with this trait they should consider another breed. Anyone wishing to adopt a rescue Komondor should contact the rescue coordinator for an adoption form. When the properly filled out paperwork is returned, it will be screened to evaluate whether a Komondor is the right breed for your situation. The coordinator will then notify you of any dogs available. While sometimes a dog turns up close to the adopter, many times the best match will be across the country. Other times it may be several months before an appropriate dog is found. While the KCA can give you a general idea of the temperament of the rescue dog, often times we have not had hands on experience with the dog for adoption. The adopter should carefully consider any dog before making the decision to adopt. It is the responsibilty of the adopter to pay for shipping costs, as well as spay or neuter surgery. The KCA asks for a donation to the Rescue program so that we can continue our efforts. Komondor Rescue currently assists in the placement of over 40 dogs a year. 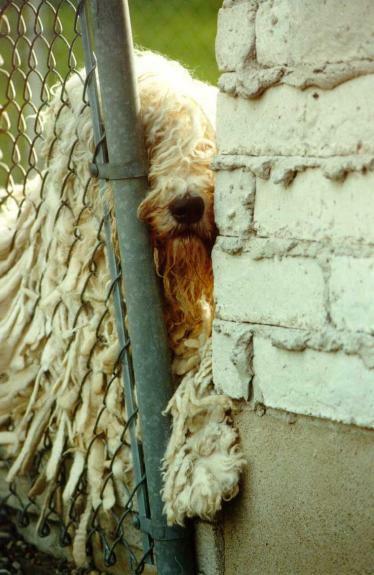 If you have a Komondor that you can no longer care for, contact the KCA Rescue Coordinator and discuss the situation. If you purchased your dog from a reputable breeder, contact them first in regards to helping you find your dog a new home. Many breeders have contracts stating that they be notified if the owner can no longer keep their dog. If your breeder will not work with you, or you need additional help, discuss your needs with the KCA. Please contact the KCA before taking your pet to a shelter. Expect it to take several days to several weeks for the KCA to find your dog a home. Rarely are we able to make an immediate placement. However, sometimes a foster home may be found if you must place your dog due to an emergency. While the KCA makes every effort to rehome Komondors, not all dogs are suitable for adoption. The KCA does not accept dogs into the program with a human aggression problem. If we are successful in finding your dog a new home we appreciate a donation to help continue our rescue work.